The internet has created unlimited opportunities for customers to shop all over the world for whatever products and services they need. Due to this huge increase in competition, it is more important than ever to offer the best possible customer experience. Being able to improve your online presence with great customer service will put your business in the best light possible with five star reviews and comments from those that purchase your products or services. 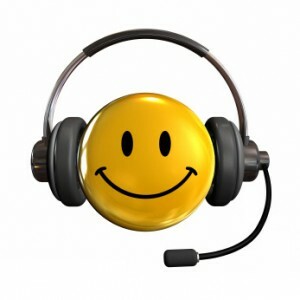 Happy customers are happy to engage with you on your social media sites and recommend you to their friends and family. Both the engagement and the word of mouth marketing can create a tremendous increase in who decides to become a new customer. When your business has any kind of online presence, it is important to make sure to respond to comments from customers immediately whether they are good or bad comments. Showing that you are responsive that way helps build trust and lets customers feel valued. Asking them for feedback and seriously considering their opinions and suggestions will further enhance your image as a business that cares about its customers. If your business cannot provide this, customers will quickly move on to your competitor that does. Training your staff in regard to how to engage with customers online is a new part of customer service training that should be implemented with your overall business training. If your business caters to a worldwide customer base, learning etiquette for the different cultures is another important part of that training to consider. Anyone that will have communication with customers should go through this sort of training, whether they are customer service or sales representatives or not. Along with increasing the level of customer service for your business website and social media sites, make sure and ask happy customers to provide feedback about your products and businesses at business review websites. Many potential customers will use their favorite search engine to search on “Your Business Name Reviews” to see what comes up. Making sure that great reviews are available to potential customers will further encourage them to trust your business enough to purchase the products or services your offer. When you improve your online presence with great customer service, ask for reviews and for happy customers to pass along your information to their friends and social media followers that may need your products or services, you will notice that your online conversion rates to up. You will also have an edge on the competition that may not have taken the time to learn about online customer service versus real time customer service.